Lawrence Robert (‘Laurie’) Connell (1946 – 27 February 1996) was a Western Australian business entrepreneur. He was well-known for his dealings with the Government of Western Australia and his close relationships with a former premier of Western Australia, Brian Burke, and Alan Bond during the WA Inc period in the mid to late 1980s as chairman of the Rothwells merchant bank. In 1994, Connell was jailed for conspiring to pervert the course of justice by paying a jockey to leave the country. He was the grandson of a long-serving Western Australia Police Commissioner, Robert Connell (1913–1933). At the January 1983 AHA Cup in Bunbury, jockey Danny Hobby jumped from his mount Strike Softly. Hobby later claimed he jumped after accepting a bribe of $5,000 from Connell to do so. Almost a decade later, it was alleged that Hobby was paid over $1 million by Connell to travel around the world for several years to avoid returning to Australia and facing an inquiry. Ultimately Hobby did return and Connell was tried and sentenced to five years’ jail for conspiracy to pervert the course of justice during the investigation into the horse race. Hobby received a three-year term. Found not guilty of fixing the race. Connell served one year in jail before receiving a work-release. In the 1987 two-mile Perth Cup, Connell’s horse Rocket Racer ridden by leading Western Australian jockey J. J. Miller won the race by nine lengths and couldn’t be pulled up, doing nearly another lap of the course. Connell had backed the horse initially at long odds down to a 2/1 favourite and was believed to have collected $500,000 from bookmakers as well as the $210,000 prizemoney for the win. After the race he shouted drinks for the members’ bar for several hours. The horse’s performance and subsequent collapse and death of unknown causes a few weeks later was never fully investigated or explained, although it is generally assumed that it had been injected with a chemical substance called etorphine (known colloquially as “elephant juice”). 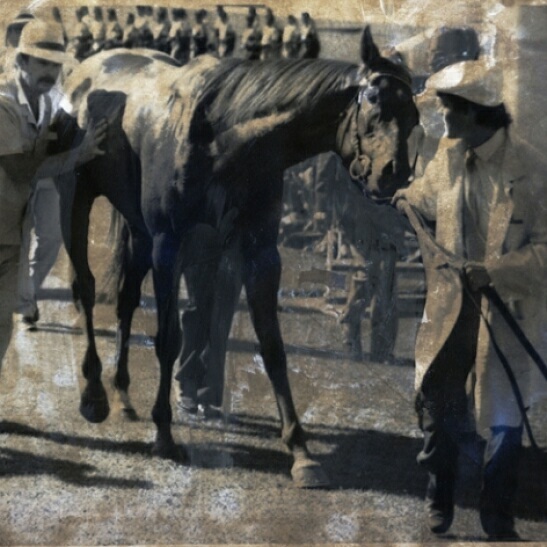 Rocket Racer was trained by Buster O’Malley, but another Connell-owned horse trained byGeorge Way, had tested positive to etorphine a few weeks earlier which had led to a long disqualification for Way. Mr Dowding, as premier, presided over a disastrous series of decisions designed to support Rothwells when it was or should have been clear to him and to those ministers closely involved that Rothwells was no longer a viable financial institution. This culminated in the decision to involve the Government, through WAGH, in the Kwinana petrochemical project as a means of removing the Government’s contingent liability for certain of the debts of Rothwells. Electoral advantage was preferred to the public interest. The political fallout from the collapse as well as other government dealings in the period dominated media and political discourse in Western Australia during 1990, and premier Carmen Lawrence ultimately called the royal commission in November 1990 to investigate. The enquiry became known as the WA Inc royal commission and resulted in the jailing of Connell, Burke and a number of other involved parties. Connell died a bankrupt. At the date of bankruptcy there was a deficiency of $341 million and additional pending claims of $60 million. In 1998, the trustee seized artworks which were sold for about $30,000. In 2000 the trustees raised a further $120,000 from sale of artworks.